In celebration of Abbey Road’s 50th anniversary, four of Australia’s favourite musicians and members of some of our most beloved bands, collectively known as ARC – Kram (Spiderbait), Mark Wilson (Jet), Davey Lane (You Am I) and Darren Middleton (Powderfinger) – all self-confessed Beatles tragics, will faithfully and lovingly bring The Beatles’ Abbey Road Live to Perth. Played in full, from start to finish, it will then be followed by a second set comprising of a selection of hits spanning The Beatles’ catalogue. The Australian tour opens at the Perth Concert Hall on Sunday, August 11. 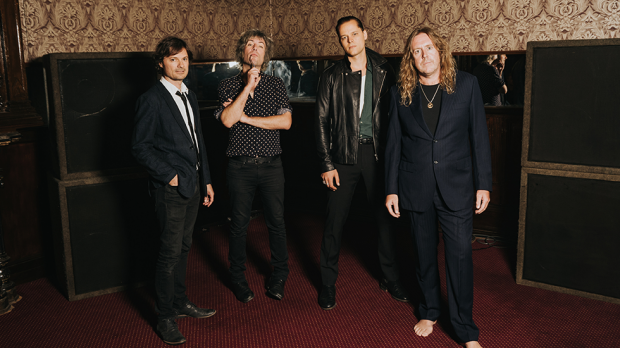 Joining ARC live on stage will be special guests Ash Naylor (Paul Kelly, Even and Rockwiz), Linda Bull (The Black Sorrows, Vika and Linda Bull), Brett Wolfenden (The Pictures, Jim Keays) and James Fleming(Eagle and the Worm, Bob Evans).